Nowadays phone usage often goes beyond the point of being unproductive. With the increasing popularity of different kinds of apps, most users are prone to using apps and increasing usage of their phones much beyond their work hours and it takes up most of their leisure hours as well. With increasing screen time many people are alienating themselves from healthy, social habits, even foregoing beneficial physical activities like going for a walk or a run or making a trip to the grocery store. Many parents often find their children getting addicted to smartphones or tablets. With such addictive trends coming in, several apps have been launched to help people monitor their screen time. The amount of time they spend unlocking and checking their phones, picking it up for different reasons and using different apps can be monitored by helpful apps. Here is a list of such app to monitor phone usage which can be downloaded for iPhones. Each app has varying features and benefits to offer and it is up to users to choose an app as per their specific needs and preferences. Since most parents are concerned about the amount of time children spend on the iPhones handed to them, this particular app has gained much attention in the market. It can act as an effective parental control application which can be done remotely as well. One of the several features that it offers is also as an app to monitor iPhone usage. This particular app acts as a tool for parental supervision of a child’s device; it offers several supervision options. The app can help parents to track app usage as well as check record of phone-based activities. Certain apps can be blocked off from the use or prevented from being installed. App usage time can be limited to ensure bedtime and study time are not affected. It allows parents to remotely monitor app usage and phone activities on their children’s iPhone. Apps can be limited as per time of use or blocked by parents. Parents need to set up the app in their phone as well as on the iPhone of their children. There is a three monthly or annual subscription service to be paid for to avail of these and additional features on the app. In order to download FamiSafe and use all its features, one can go here. This is one app that can help users to know the extent of time they spend on their phone and different apps and offers tools to block out and reduce such behavioral trends. It can block out distracting apps like games or Facebook. Tailored modes exist such as Me Time, Family or Work time to provide access to selected functions and apps for such defined time periods. Analytics exist for the app and phone usage. Presence of different modes for tailoring communication and app access at different times. Customizable features for blocking or reducing time on phone or apps. Setting the different customizable modes needs some time to figure out. In order to download this app that monitors iPhone usage click on this link. This is another app to monitor iPhone usage which offers several useful features for the users. It can track device usage and help to set down daily limits. If limits are exceeded alerts are generated. A setting exists that can force a user to put down the phone as alerts come on in increasing number once screen time is extended. A family plan exists which can be used to extend the app service to linked member accounts. Forceful alerts can help to reduce screen time. Parents can limit screen time on their children’s devices by the use of the Moment Family plan. Advanced features come for a fee. Family plan features come for a subscription fee. In order to avail of the trial version or download the pro version, go here. This is another app to monitor phone usage that can work for Android as well as for iPhone users. It offers aggressive features for unplugging that committed users will find the use for. With the app there is the option of locking the phone for a set time period; once that is done a user cannot unlock the phone; the feature is not deactivated even when the phone is restarted; the user has to wait till the time period has elapsed. It can also be used to remotely flip off another device. 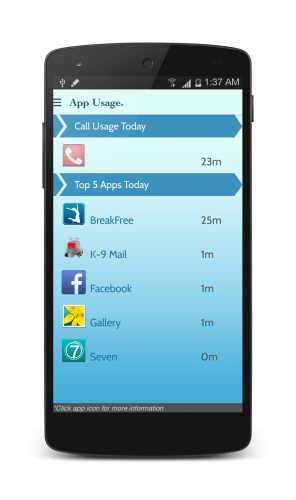 This usage tracker app helps to limit screen time by aggressive locking features. It can even be used remotely to lock screen of a linked device. Limiting screen time and needing to log back might become a problem with this app. This app has unique features for unplugging or reducing screen time. Those who find this app’s features useful can download the same from this link. This is yet another app to monitor iPhone usage which has gained popularity among iPhone users, especially those who wish to find useful apps to track their phone or app usage time. 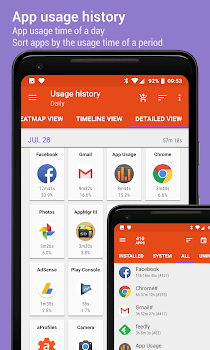 Usage tracking functions are similar to most apps. 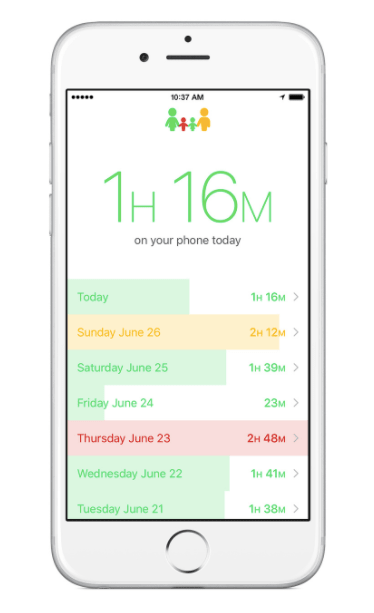 Addiction score is a feature offered to users to proactively reduce their screen time. It records parameters like how often a user unlocks the phone screen. It can help users to set goals to reach higher scores to reduce their addiction. Addiction score is a unique feature included in this app. Helps to track small details such as the number of times a user unlocks the phone screen. It can be addictive for users who wish to reduce their addiction score on the app. To know more, go to this link as well as for downloading the app. How to use FamiSafe to monitor iPhone usage? 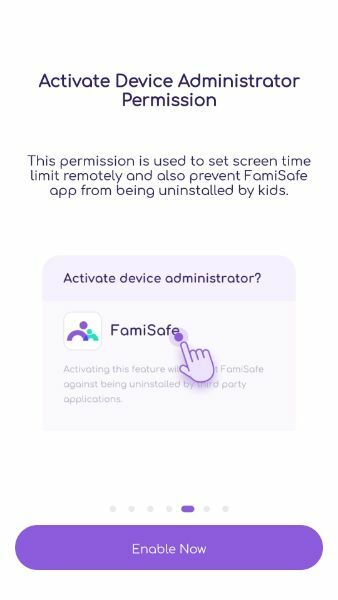 FamiSafe is one of the popular parental control apps out there that most people are increasingly downloading to monitor and manage app and phone activities of their children. While modern lifestyles have led to parents handing over a smartphone or tablet to their children at tender ages, it also leaves them vulnerable to adult and inappropriate content that they can find online or communication from strangers on chat or messenger services. Visit the official portal of FamiSafe and opt for the trial version for free. However, in order to use all the features of the app, it is advised to purchase a subscription plan for the app. In order to use the app in monitoring activities on the device of a child, the app needs to be downloaded on the parent’s as well as on the child’s device. 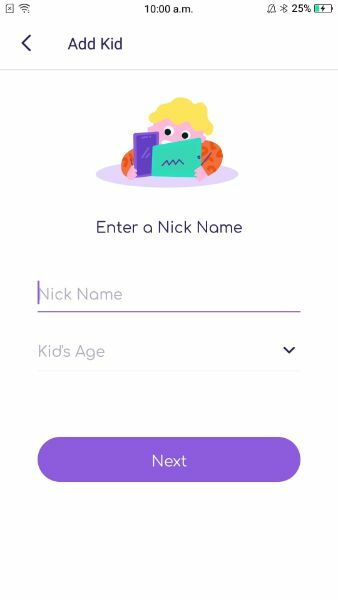 Once the app is downloaded on the child’s device, there are settings to specify that the account is of the child; parents are prompted to enter the child’s name and age in the account details. Once the account settings are done, permissions need to be given to allow data to be uploaded to the member account; location settings also need to be enabled. Administrator settings need to be made on the child’s device to ensure that the app is not deleted accidentally by the child. The different functions are displayed on the app interface and settings can be done on them accordingly; for instance, if one wishes to track app activity he or she has several options such as timeframe of such activities to be logged, whether one wishes to block out certain applications and for what time period. Once these settings are done, records would be generated from the child’s device and uploaded on the member account; such details can be checked by the parent who is the principal user by opening the dashboard on the app on their phone. The above steps help a parent to set up the FamiSafe app for tracking the different activities on their child’s iPhone. They can also make changes to such settings to get records accordingly. They can decide to add to the list of blocked apps or revise the time limits on certain apps remotely as well. The above list of apps to monitor phone usage and the varying usefulness of these apps in helping users reduce their screen time or using different applications. It is best that a user chooses an app tracker to download as per their specific needs. 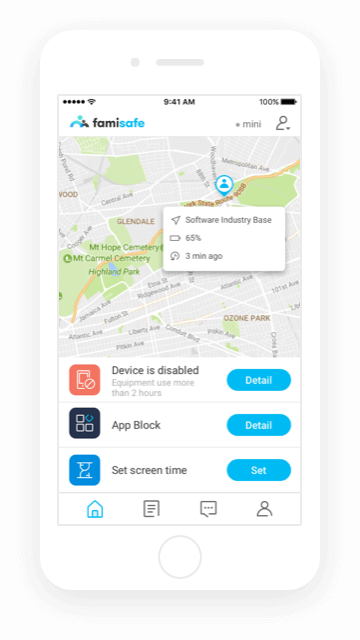 Since most parents are concerned about tracking the smartphone activities of their children, FamiSafe is a useful app to refer to.